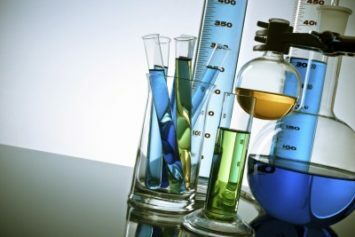 The EPA has issued its first-draft risk evaluation for the first 10 chemicals the Agency must evaluate under the 2016 amendments to the Toxic Substances Control Act (TSCA). The draft addresses Pigment Violet 29 (PV29), a substance the Agency preliminarily concludes does not present an unreasonable risk of injury to human health or the environment; this includes no unreasonable risk to both workers engaged in the manufacture of the substance and other subpopulations who may be particularly susceptible because of conditions under which PV29 is used. As required by the TSCA amendments, the Agency states that the draft evaluation was completed without consideration of cost; this means the evaluation contained no consideration of either losses or gains any manufacturer of PV29 will experience should the Agency adhere to its preliminary evaluation or reverse itself and find that PV29 does present unreasonable human-health and/or environmental risks and needs to be subject to restrictions or even a ban. Sun Chemical Corporation of Goose Creek, South Carolina, is the only U.S. manufacturer of PV29 that reported to the TSCA Chemical Data Reporting (CDR) database in 2012 and 2016. According to the EPA, for those years, the PV29 annual production volume was about 650,000 pounds. Integrate and assess available information on hazards and exposure for the conditions of use of the chemical substance, including information on specific risks of injury to health or the environment and information on potentially exposed or susceptible subpopulations. Describe whether aggregate or sentinel exposures (the plausible upper bound of exposure relative to all other exposures) were considered and the basis for that consideration. Take into account, where relevant, the likely duration, intensity, frequency, and number of exposures under the conditions of use. Describe the weight of the scientific evidence for the identified hazards and exposure. Based on its review of “reasonably available data,” including human health testing, the EPA found that no adverse effects have been observed for all routes of exposure (oral, dermal, and inhalation) to PV29. Throughout the draft, the EPA states—as it had previously stated in the problem formulation for PV29—that it ceased its risk evaluation once it found evidence that the risk of human exposure was low. This approach was found insufficient by 17 “scientists, academics, and clinicians” who commented on the problem formation. The scientists stated that the Agency should request additional data on the relation between exposure to PV29 and carcinogenicity, developmental neurotoxicity, neurotoxicity, repeated dose toxicity, and endocrine activity “to ensure it has adequate information to complete the risk evaluation” (see comment letter). Notice of the draft risk evaluation was published in the November 15, 2018, Federal Register. Comments on the document must be received by the EPA by January 14, 2019.